I’m absolutely loving the floral trend this season! Floral is the perfect way to add a feminine touch to any look. And what’s more beautiful and feminine than a flower crown? 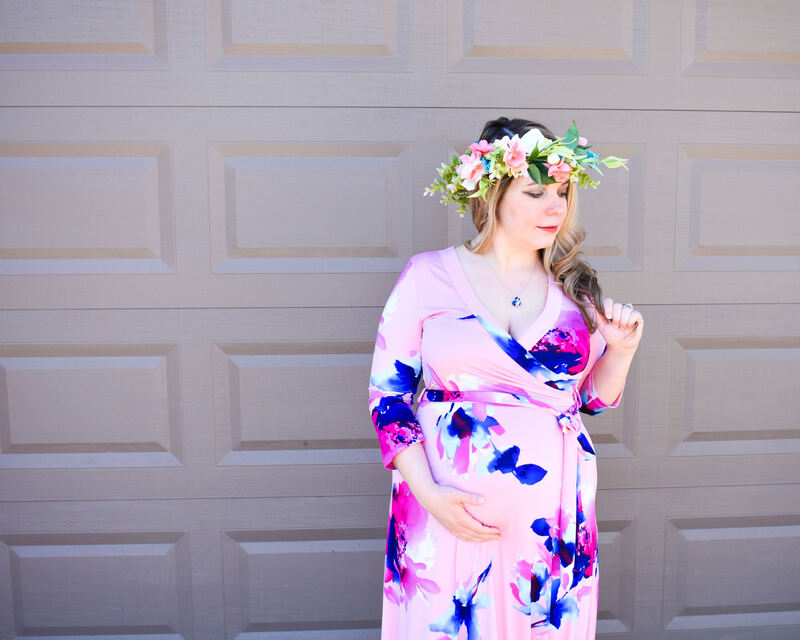 Flower crowns have been making the rounds for awhile, but I never felt like I had the right opportunity to rock one… until I got this gorgeous floral maternity dress from PinkBlush! As soon as I saw the dress, I knew I had to have a flower crown to go with it! I decided to DIY so I could match the colors exactly to the dress. 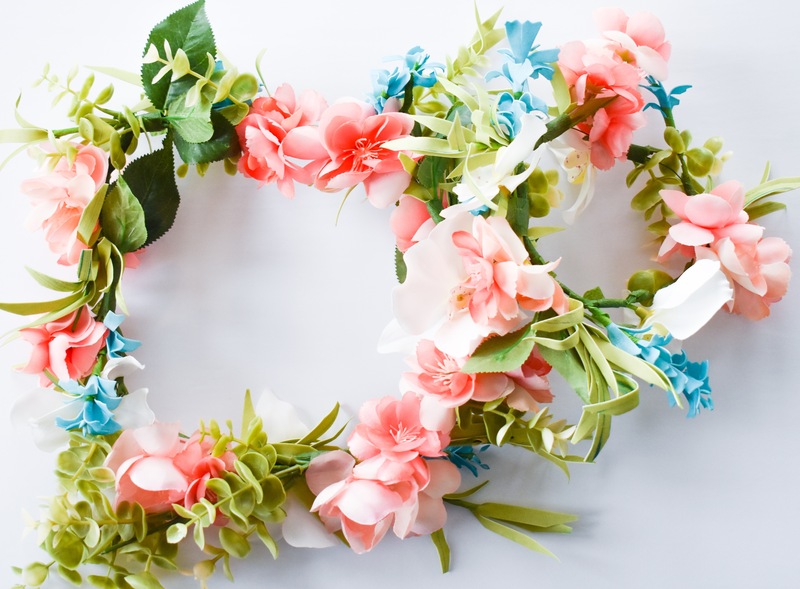 Turns out, making flower crowns is easy! Here’s my easy DIY tutorial on how to make a flower crown with fake flowers. 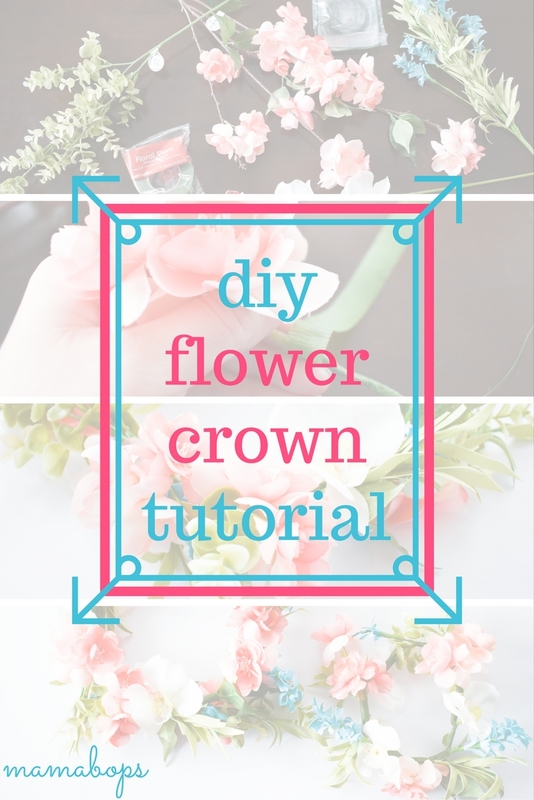 So you want to learn how to make a flower crown with fake flowers? 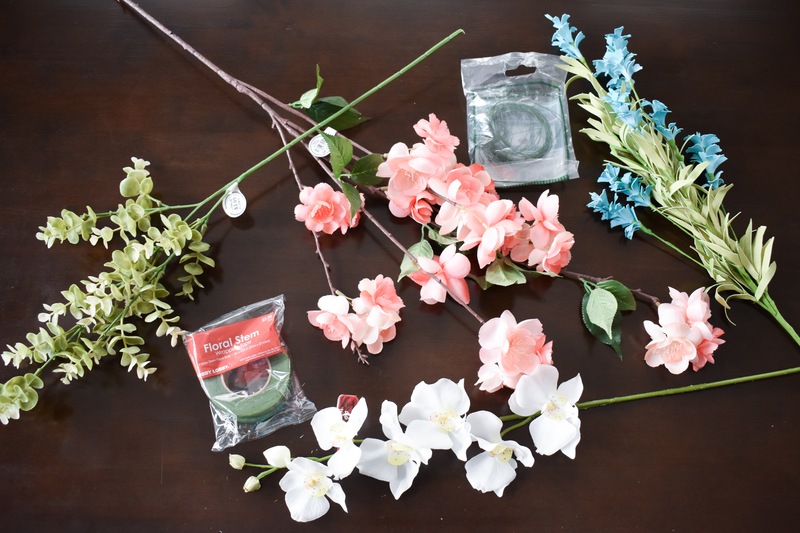 You’ll need floral wire, floral tape, and fake flowers. That’s it! As you can see, I selected a variety of flowers and accent greenery. Of course, you can also use all one type of flower (for example, all roses) or all one color (wouldn’t all white be stunning? ), depending on the look you’re going for. To give you an idea of the amount of flowers you need, I used all the stems in this photo to make one adult and one baby-sized flower crown. After gathering your supplies, measure your floral wire to the appropriate length and form it into a circle. For my own crown, I simply wrapped the wire loosely around my head to get a measurement. I also wanted to make one for my unborn daughter, so I used a sizing chart I found on Pinterest for an approximation. 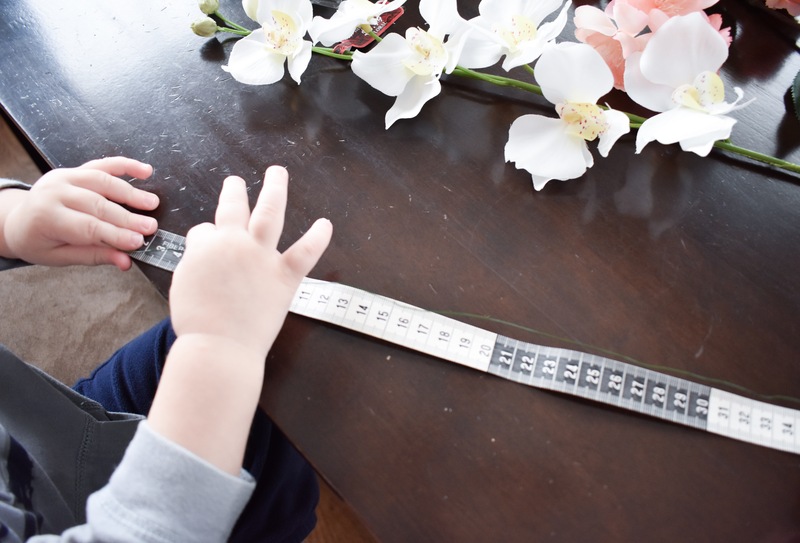 It suggested 13.5 inches/34 centimeters for a newborn, so I enlisted my trusty toddler helper to assist me in measuring the wire to that length. I left a little extra wire on the ends so I could twist the wire together to hold the circle shape. Next, separate the fake flowers from their stems. I was able to simply pull most of my flowers off the stems, but some required scissors. Then, position the flower in your desired location on the floral wire and use the floral tape to secure it. Don’t hold back on the tape; the more the better. When positioning the flowers, I found it looked best to keep the flowers facing the same way as I worked around the circle. 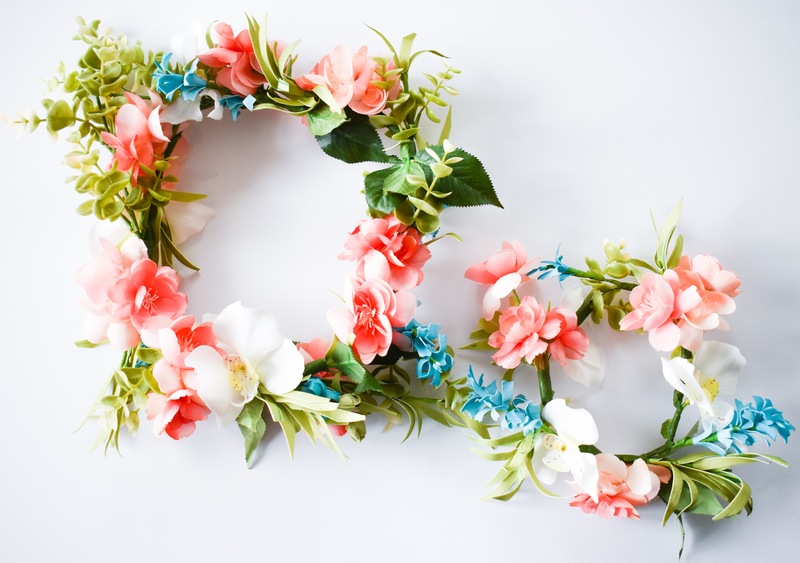 Start by taping your larger flowers to the floral wire to get the basic shape of your flower crown. Then, fill in the gaps with your smaller flowers and greenery. And that’s how to make a flower crown with fake flowers! 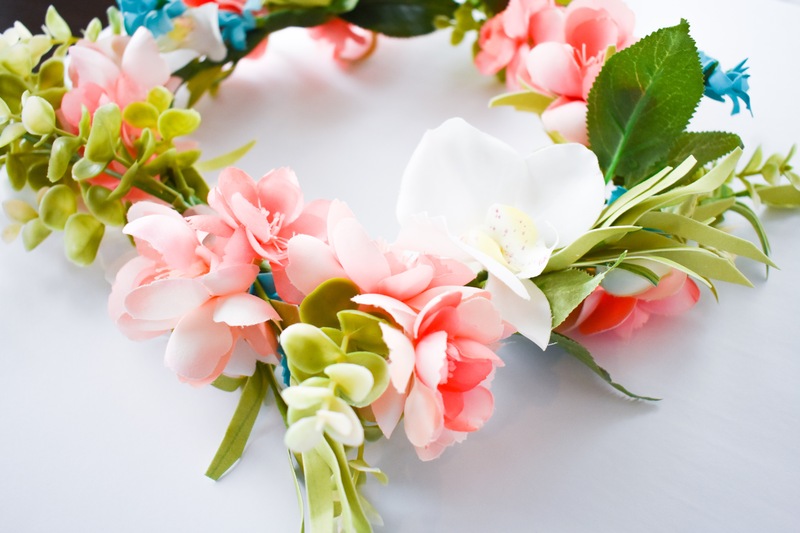 Of course, you can add as much or as little to your flower crown as you’d like. 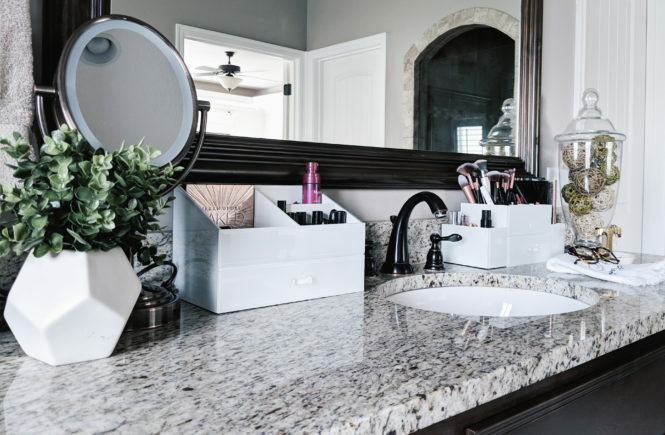 That’s the great thing about DIY: you can customize everything exactly how you like it! I enjoyed customizing my flower crown to match the colors in this floral dress from PinkBlush Maternity! 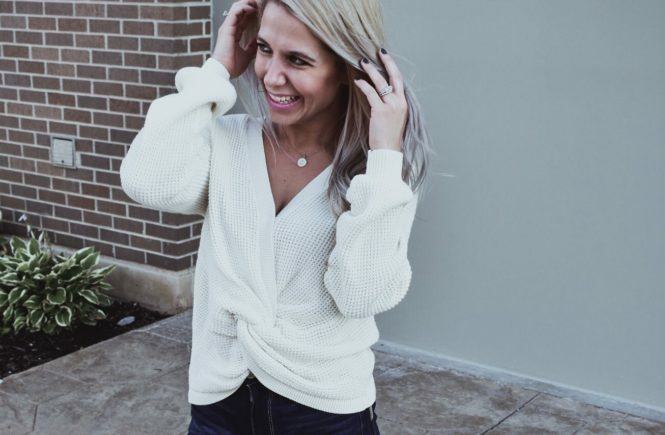 If you missed my earlier post, make sure to check out more of this look (and enter to win a $75 gift card!). 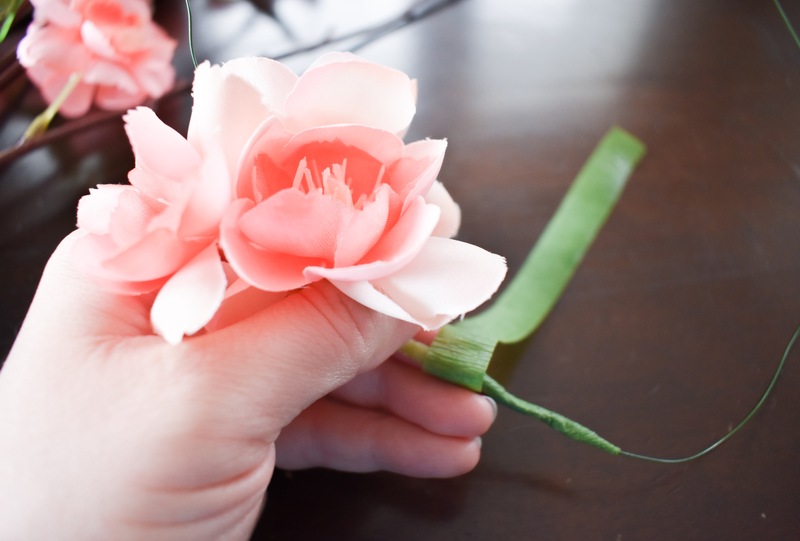 The quality of your fake flowers will make a huge impact on your finished product. I purchased my floral stems from Hobby Lobby and was very pleased with the quality for the price. Mommy and me flower crowns. Is there anything sweeter? I can’t wait for my baby girl to be here so we can get a photo of us both wearing them! Of course, that’s probably a pipe dream. I’m sure I’ll be extremely bloated, bags under my eyes, and no time to do hair or makeup… meanwhile, she will hate having the thing on her head and start screaming. Pinterest vs. reality, am I right? Either way, I had fun making them. Making a flower crown with fake flowers was surprisingly easy! 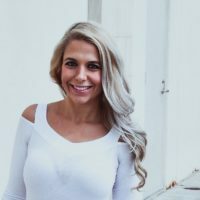 I’d love to see how you use this tutorial to make your own! Leave your links in the comment section or tag me on social media! I’m @mamabops on Instagram, Twitter, Facebook, and Pinterest. Pin this tutorial on how to make a flower crown with fake flowers for later! Are you embracing the floral trend this season? I’m totally on board! So cute, and I love your dress! Thanks so much, Indira! It’s one of my favorite maternity dresses! I love how pretty and feminine this looks! What a fun and cute idea! I will have to make a crown for me and my girls! Thank you, Liz! I’d love to see photos if you make them! It’s so fun to see how everyone makes a tutorial their own. These are so crafty. You look so beautiful with it and your cute bump. Angelic even. I always wanted to do this for my daughter and I! Awesome idea for mothers day photo shoot. Ooh, yes, definitely a great idea for Mother’s Day! Too bad my little girl won’t be here by then. Hopefully some other mamas can use that idea this year! Congrats! This are soooo beautiful and so adhoc for this season of the year! I love spring and its flowers. Me too, Joyce! Thank you so much! Wow, This is so creative. The Flower head crown matches well with the dress. Thank you, Akyn! I was glad everything matched well. I actually made the flower crown before I received the dress in the mail, so I was working off the online photo of the dress. Thankfully everything matched up well! This was a great tutorial. I have only done one fresh flower crown and within the hour it was wilting. Fake flower crowns for me in the future! Yours looks beautiful. Thanks for sharing with Fabulous Friday, Tricia! Thank you, Jennie! I’ve never tried to make a flower crown with fresh flowers. Sounds like it might not be worth it! Haha.